This article is about the village in Ahmednagar district. For the village in Solapur district, see Pimpalwadi, Solapur district. 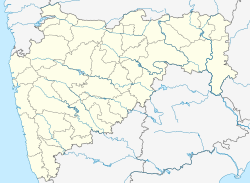 Pimpalwadi is a village in Rahata taluka of Ahmednagar district in state of Maharashtra, India. The population of Pimpalwadi is 4034 of which males are 2129 and females are 1905. ^ "Pimpalwadi, India - Weather Forecasts". Yahoo. ^ "Census of India 2011". Census of India. Registrar General & Census Commissioner. Retrieved 11 August 2017. This page was last edited on 6 November 2018, at 13:16 (UTC).